In poverty-stricken slums, parents have to go look for food and tend to their young ones at the same time. This means mothers often leave babies and under-fives unattended. Sometimes they pull an older child out of school to look after the youngest ones. Other “affluent” mothers, who can afford approximately $0.5-payment-a-day, have the luxury of leaving their young ones in a congested, unsanitary, unsafe and hazardous local makeshift baby care centres. Here, injuries, infections, retarded growth and other risks become the order of the day. Sometimes the kids are even stolen in the process by traffickers. So, when edupreneurs Afzal Habib and Sabrina Premji introduced Kidogo two years ago, it was God-send to mothers and their young ones. 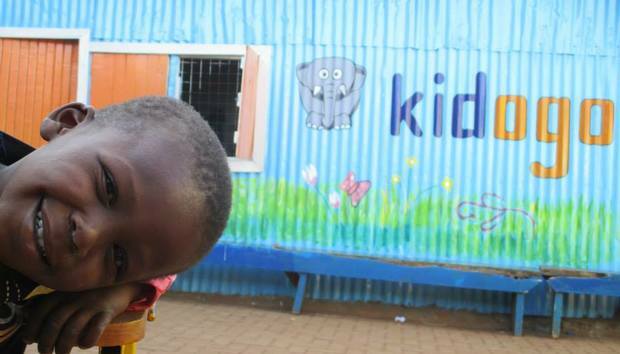 “Kidogo is a social enterprise that provides high-quality, affordable early childhood care education to families living in East Africa’s informal settlements. We imagine a world where all children, regardless of where or in what circumstances they were born, have the opportunity to reach their full potential,” Sabrina Premji, the startup’s co-founder, tells IDG Connect. The startup designs and operates a network of ECD centres using a social model they call “hub & spoke” to provide young children in informal settlements with a safe learning environment, nutritious meals and play-based curriculum through well-trained care givers from the local community. With over half of the world’s out-of-school children (33 million) currently living in Africa according to UNICEF [PDF], the startup provides hope for the slum dwellers. Despite working in these complex environments of low earners, Kidogo has laid down both infrastructural and technological foundations towards its success. The startup uses a smart phone app and SMS based tools for monitoring and evaluation purposes. In the process this also serves to coach and mentor the care givers in its network. “We are using a smart-phone app to support the administration and reporting processes at our centre, helping our team to quickly and effectively input, review, and share data about the operations at our centres to head office including enrolment levels, financial information, and quality metrics,” Premji explains. The co-founder is confident that the startup is moving to the right direction. “Since launching in 2014, we have opened two ‘hub’ centres [one in Kibera and another in Kangemi – the biggest slums in Nairobi] that collectively serve approximately 150 children every day. We have also employed 12 ECD teachers. In addition, we launched our spokes pilot program last year with five mamapreneurs that serve an additional 150 children through their childcare centres,” Premji informs us. The co-founder had a personal slum experience that led to the startup’s idea and inception, on the outskirts of Nairobi. Premji was working with community health workers and leaders on a nutrition project where she visited what was referred to as a ‘baby care centres’. During this visit, she uncovered the issue of the hundreds of unlicensed childcare centres in the informal settlements that were caring for children while their mothers were at work. As a scientist she knew that the first five years (and specifically the first 1000 days) is a vital period in the development of young children, including cognitive, physical, and psycho-social skills. She discovered that these centre were of very poor quality with unsafe and unsanitary environments and limited nutrition and stimulation for the children. This was hindering their development. Without quality care, she realised that in the early years these children were having trouble succeeding in school and later in life, often leading to the continued intergenerational cycle of poverty. From then, the co-founder set the stage for her obsession of helping slum children. “We believe the challenges of these communities, particularly with regards to childcare and pre-school education are unique and require a different approach than other parts of the population. While we did launch our first centre in Kibra in 2014, our focus is not specifically here. We hope to scale-up Kidogo in the coming years to all informal settlements around Nairobi and then into other major cities across the region including Mombasa, Dar es Salaam, and Kampala,” Premji tells us. The majority of parents in these slums are the very low income earners casual labourers that make up the 60% of Kenyans. Yet the startup has noted that in these poverty-stricken segments of society quality is more important than cost. “Both of our hubs are current filled to capacity and have waiting lists despite being slightly more expensive than nearby options, suggesting that parents are willing to pay for quality when it is important to them,” observed Premji. The startup has faced with a lot of challenges, most pressing of these being management of the trade-off between financial sustainability and impact. This involves evaluating the financial implications of a decision to ensure they are being as cost-effective and efficient as possible. The startup has received international accolades in its status as a social enterprise and also as a female-led innovation. It has been named Champion of Play-Based Learning (by the LEGO Foundation and Ashoka), has received a SEED Award (awarded by the UN) for female led company, “Ready to Scale” award at Women Deliver Conference 2016 and Member of the Clinton Global Initiative (CGI) among many others. “In the short-term, we are focusing on proving out the hub & spoke model and growing our footprint within Nairobi, and then into key cities across Kenya, Tanzania and Uganda. This means that over the six to 12 months we are focused on refining our programs, services and our business model to ensure we are well positioned to grow in the coming years,” Premji concludes.